An open fermenter at Kout na Šumavě in the Czech Republic. Photo by Jeff Alworth. Every beer-drinking country has a particular relationship to the beer it brews. Germans treat their lagers as a sacred trust, and breweries often have the text of Reinheitsgebot posted like a prayer on the wall. Italians are the quickest to think of their local ales as part of the gastronomic landscape—they brew with an eye to the dinner table. Americans have replaced a focus on quantity for one of quality, but in both cases there’s a maximalist orientation; now we count IBUs instead of empty cans. The Czechs are the most interesting. They treat their beer as both a less exalted beverage but one more necessary; it’s elemental, like water. You don’t find them rhapsodizing about their světlé ležáks (what we would call pilsners) the way American beer geeks do. Those displays are for luxuries. For Czechs, pivo is a staple, mundane as the air they breathe but central to life. As a consequence, Czechs guard the secrets of their beer the way small villages protect the town well. Trying to prize the secrets of beer-making from a brewer requires a lot of patience and a little luck. I had the rare opportunity to see some of this play out earlier this month when I visited the Czech Republic with a media group. On our final day, we ended up bouncing along small lanes that formed boundaries between lush farmland and a thick (albeit short and spindly) forest. We were headed to a remote place called “the corner of the Šumava [Forest]”—Kout na Šumavě—where one of the most well-regarded beers in the world is made. I had begun to get an inkling that not all Czech beer was made the same way, despite all the pretty definitive accounts I’d read, but what we found there was far more surprising than anything I’d suspected. 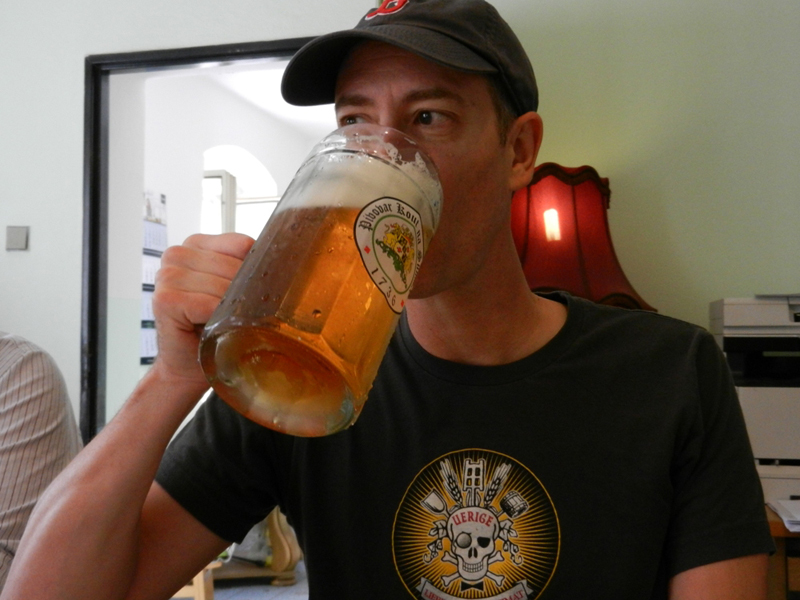 It was my second trip to the Czech Republic, and the first time around I’d managed to hit the biggies—Budweiser Budvar and Pilsner Urquell. Those breweries are not only by far the most well-known outside of the Czech Republic, but they are in some ways the keepers of the orthodoxy. To the extent Americans know anything about Czech beer, they know it because they’ve enjoyed those two. From Budvar and Urquell, we know several of the most important things about Czech brewing. It starts with rich, aromatic local malt—an absolute key to the character of Czech beer—as well as those famous herbal, tangy hops. It continues on to process, including, famously, decoction mashing (it’s even a part of the protected geographic indication for České pivo). Pilsner Urquell uses an old-fashioned triple decoction mash, while Budvar uses the more typical double decoction. First-wort hopping (putting the hops in the kettle while the mash is running off) is common, as is the curious practice of conducting primary fermentation for as many days as the beer has points of Plato—12 each in the case of Budvar and Urquell’s 12-degree beers. Writers wanting to understand Czech brewing must visit those breweries—they are rightly considered standards for the country. But as I traveled around and tasted other pale lagers, I discovered that they varied pretty broadly. Some are creamy and bready, some stiffly bitter; some are heavily carbonated, some barely. Some are clear as rainwater, others hazy and rustic. It’s a meager understanding of a beer style that rests on the examples of two beers. In fact, my favorite Czech brewery, Únětický Pivovar, makes two pale lagers that are as hazy as an IPA and full of rustic flavors—spikier hopping, crunchier malt. I assumed it was an article of faith that beer must be lagered a month, but I was surprised to learn that the Únětický spent around three weeks in the conditioning tanks. It coincides with a national trend of serving “yeast beer” (kvasnicové)—a preparation wherein yeast or fermenting wort is added to fully-lagered beer. It’s a two-hour drive from Prague to Kout, but in a country the size of South Carolina, that counts as remote. We eventually pulled up next to an old ruin bordered by a carp pond that turned out to be the brewery. 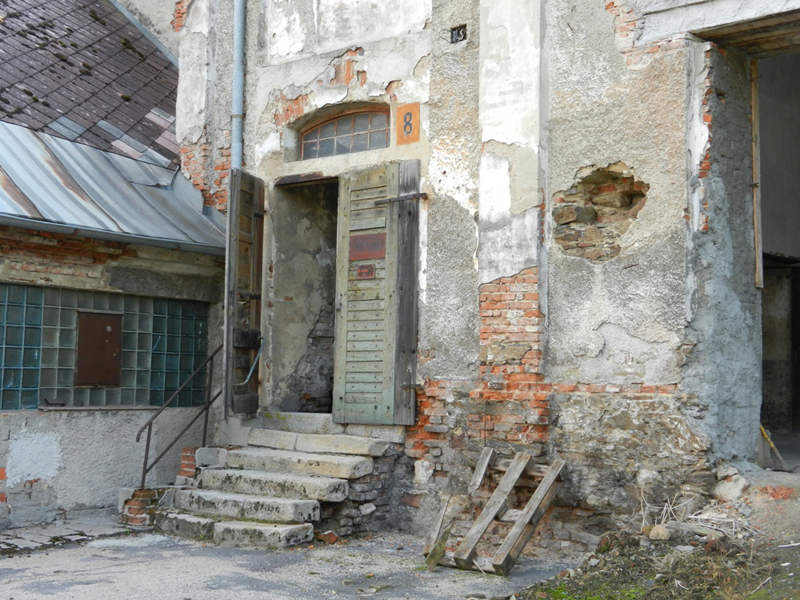 The 18th-century building had once housed a much larger brewery, but it had been long abandoned by the time Jan Skala decided to re-occupy it and open Kout na Šumavě. Much of the building was crumbling, and window panes were either broken or opaque from years of grime. From the outside, you couldn’t imagine there was a pristine new brewery hidden inside. There was, though we were first led to a freshly-painted conference room by the office. The exterior of Kout na Šumavě in the Czech Republic. Photo by Jeff Alworth. Despite having heard a great deal about this beer, I hadn’t actually tasted it until we walked in and were offered liter steins of the 10º. For a 4% beer, it had impressive golden depths, but the really impressive thing was the head—as white and dense as if someone had floated a pile of shaved ice in the glass. Evan described a quality Czechs ascribe to beer called říz, or “cut.” It’s the way a good beer strikes you, and he also said it can mean character or the sharp, full flavor of beer. Kout has great cut. It’s got a nose of mineral with traces of sulfur but only the faintest evidence of herbal hoppiness. The flavor is powerful, with American levels of stiff bitterness. It has over 30 IBUs, and they’re sharp and muscular. Underneath the bitterness was a distinct caramel sweetness and that slate-like mineral note that wafts up to the nose. 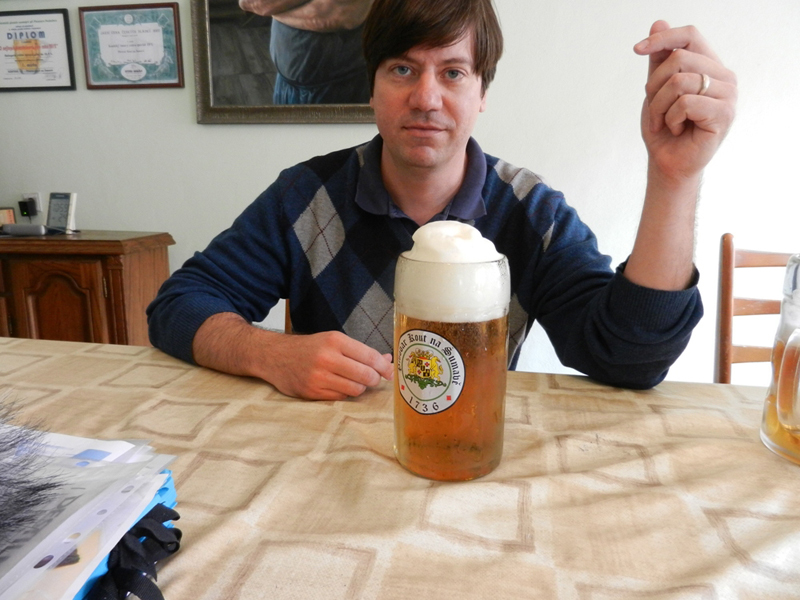 Evan Rail, the author of The Brewery in the Bohemian Forest, with Kout na Šumavě’s 10º. Photo by Jeff Alworth. All of this suggested a certain process, and I started peppering Rail with questions. I asked him to confirm that they used an open flame, the way Urquell does. 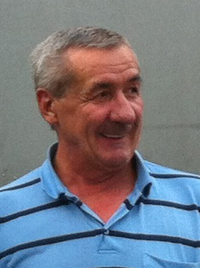 He turned to brewer Bohuslav Hlavsa and then gave me a confusing one word answer: “Steam.” That was odd. One of the main benefits of decoction is caramelization. At Pilsner Urquell, that’s why they subject the mash to three decoctions and an open flame. We had visited earlier that week, and the brewery’s Robert Lobovsky confirmed this point. “We need to do triple decoction for two reasons. One, to get the golden color out, and then to get the caramelization to take place.” So how do you get a golden color and caramel flavor with steam heat? I had only started pondering this when Rail continued describing the process. Hlavsa boils the wort two hours, adding equal thirds of pellet hops (all Saaz variety grown in the Saaz region) 45 minutes apart. The last addition goes in with 30 minutes left in the boil, which explains why there’s so little hop aroma. When we were talking about hops later, Hlavsa disparaged the use of whirlpool hops and the use of hop extract in the conditioning tanks—two practices apparently used elsewhere. That alone was a wonderful find—I’d never heard of two-hour boils in Czech, nor been privy to minor controversies about hop schedules. Still, that thing about the steam puzzled me. This may actually seem obvious, because it’s what any American brewer would do—but for a Czech brewery it seemed wholly transgressive. Everyone knows pilsners are made exclusively with pilsner malt. The golden color and caramel flavor come from process, not ingredient. Rail paraphrased what Mr. Hlavsa was saying, telling us, “This is perfectly legitimate in terms of Czech brewing,” and he implied that it wasn’t a rare method. Kout’s grists contain 3% caramel in the 10 degree, 5% in the 12. In his short book on Kout, Rail describes how Jan Skala, the owner, discovered an old brewing book secreted away in a wall of the brewery. It contained recipes dating back decades (centuries?). Rail’s effort to have a look at that book forms the thrust of his narrative, so I won’t tell you how it turns out. But as we listened to Hlavsa describe his process, I wondered—did the old brewers use caramel malt a century ago? What other secrets did the old brewers record? Jeff Alworth drinking a beer at Kout na Šumavě. Photo by Evan Rail. When you start comparing the methods of the best pale lagers, then, you find that the only real orthodox practice is decoction. Everything else is up for grabs. Grists may include caramel (or Munich, as Únětický does) or be all pilsner malt. Boils may run up to two hours, and first-wort hopping is optional. 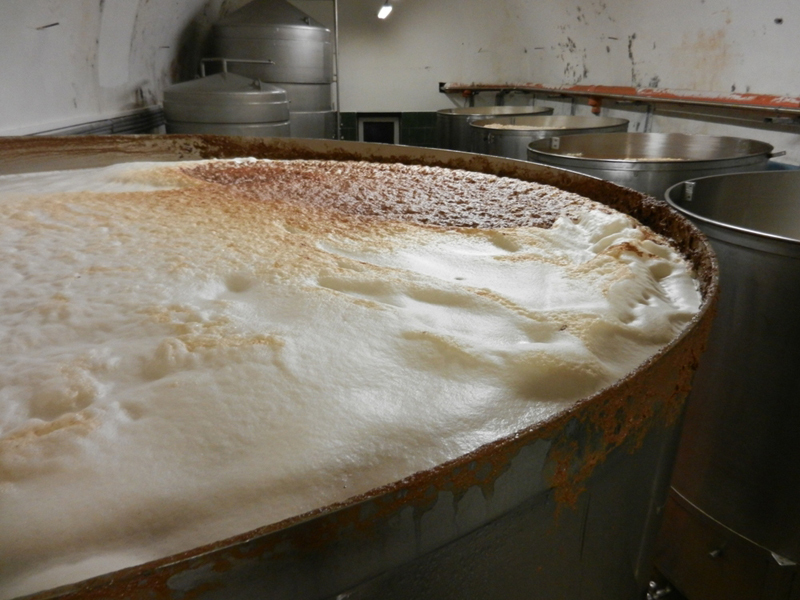 Lagering lasts from three weeks to three months. Each one of these choices produces different flavors and characteristics, as the brewery desires. It’s why the beers taste so different despite inhabiting such a narrow type. And it may well be why brewers are reluctant to reveal their practices. Let Budvar and Urquell tell people how pilsners are made. Other breweries are happy to keep their secrets to themselves. Great work as always, Jeff. I guess their reticence helps to explain the narrow band of knowledge we American beer people possess about Czech beer. Good stuff!!! And a great beer indeed! Great article and nice photos! Thanks, guys–I really appreciate it. Whoa, here you are at Al About Beer. I always learn so much from your posts. Glad to find you here. I went to the Kout Brewery last year and met the owner, and master brewer. I tried the 10,12,14 and by far the best beer I have ever had, 18! No beer tastes anything like that one.